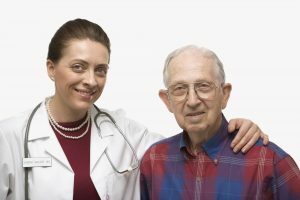 Your rights as a patient are closely tied with your patient responsibility in that you cannot take full advantage of your rights if you do not keep up with your obligations. This means, essentially, keeping your end of the health care bargain through prevention, respect and much more. For instance, if you want to take advantage of your right to vote for government officials, then you need to keep up your obligation to go to the polls. Patient rights state that you have the right to accept or deny treatment. You can take best advantage of that by doing what you can to prevent needing treatment and by having an emergency plan in place in case you are not in a position to accept or deny anything. This means having healthy habits such as eating healthy, exercising regularly and even getting enough sleep. One of the things that falls under patient responsibility is treating your doctor with respect and telling him or her the truth. This can lead to better treatment and a more pleasant visit because there is less stress in the professional relationship. Being honest with your doctor can even save your life and make your medications more effective. For instance, if you are taking over-the-counter supplements, then you may be taking something that interferes with your medications or affects your health. Tied in with honesty is adhering to your treatment plans. This can ensure that you are getting the care that you need and are paying for. If something in the treatment plan is too difficult to implement or has too many side-effects, then it is important to talk to your doctor before stopping the treatment. Patient financial responsibility is also a big one. When you do not keep up on your financial obligations to the hospital or clinic, then you can be sent to collections or even denied your appointments. The money you pay for your medical treatment goes to improve the equipment and staff that you, and others, interact with at the clinic. This means that keeping up on your payments can positively affect your credit as well as your quality of care. You have the right to quality treatment, meaning that there are ways for you to report wrongdoing and fraud on the part of the clinic, staff or doctors. This can not only help you ensure your own rights, but to help keep others from harm.